Lonely Planet Nepal is your passport to the most relevant, up-to-date advice on what to see and skip, and what hidden discoveries await you. Soak in the hustle-and-bustle of Kathmandu's Durbar Square, trek to the base of the world's highest mountain, or raft the rapids of the Bhote Kosi; all with your trusted travel companion. Get to the heart of Nepal and begin your journey now! Cultural insights give you a richer, more rewarding travel experience - history, religion, art, literature, cinema, music, architecture, politics, landscapes, wildlife, environmental issues. 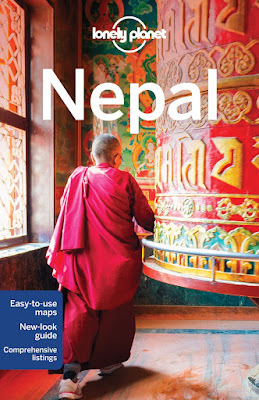 The Perfect Choice: Lonely Planet Nepal, our most comprehensive guide to Nepal, is perfect for both exploring top sights and taking roads less travelled. Looking for more extensive trekking coverage? Check out Trekking in the Nepal Himalaya for all you need to know to have a safe and rewarding trek. Looking for a guide focused on other countries in the region? Check out our Lonely Planet Bhutan guide, India guide, and Tibet guide for a comprehensive look at all the region has to offer; or Discover India, a photo-rich guide to India's most popular attractions. Authors: Written and researched by Lonely Planet, Bradley Mayhew, Lindsay Brown and Stuart Butler. I've always loved the Lonely Planet travel guides and this one is no exception, I purchased the 2015 edition of the Nepal guide before our trip last year and it was full of invaluable advice on everything from Nepal's history, local customs and religion to language guides, dos and don'ts and suggested itineraries for the main destinations. There is also a section on trekking (which I can't really comment on because we didn't use it) but I'd probably recommend purchasing the separate trekking guide if that's the purpose of your trip. This guide includes a small section about the destruction caused in the 2015 earthquake but this edition was published within months of the disaster and there has been a lot of rebuilding work carried out since then so it isn't completely up to date. You will notice that a lot of the old temples in and around Kathmandu and Bhaktapur are still undergoing repair so there is a lot of wooden scaffolding around and unfortunately some buildings were completely destroyed but considering it had only been 2 years I was impressed by how much rebuilding had already been done. 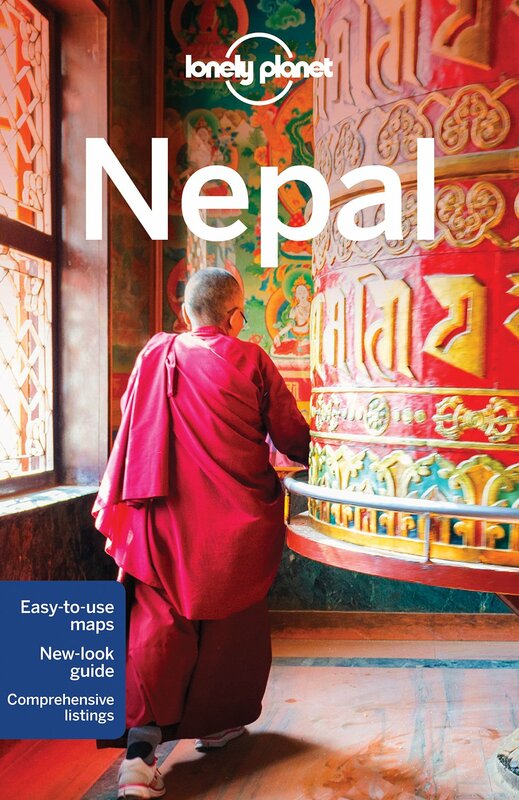 Lonely Planet is publishing an updated Nepal guide in July 2018 that will probably be slightly more accurate but we still found this was an incredibly useful guide. We were staying with Nepalese family so had local tour guides for our entire trip but this book really is packed with interesting information about many of the larger temples and places of note and it has some fantastic itineraries for the main areas. We used the guide in Kathmandu, Pokhara, Bhaktapur and Chitwan National Park and there were definitely experiences we would have missed out on if we hadn't read about them in here first. The book gives a good rough idea of entrance fees for most attractions but we did notice that these weren't always completely correct. If you're planning a trip to Nepal it is well worth trying to travel around the country to some of the larger cities and the National Park, there are so many amazing things to see and do that it's impossible to fit everything in in one trip - even without doing any of the major trekking routes! One piece of advice I can't stress highly enough is not to drink the local water without boiling it first though and if you do end up having a stomach issue go to one of the many local pharmacies as quickly as possible because the local medication is far better than anything you can purchase at home to take with you. I'd definitely recommend purchasing this guide before your trip and it is well worth taking the time to read up on local customs and tips for travelling before you leave home. Take the time to learn a few Nepali phrases (the most important one being Namaste which can be used as hello, goodbye and just as a general friendly gesture), the Nepalese people are incredibly friendly and welcoming and very quick to smile even if communicating can be hard because of the language barrier.